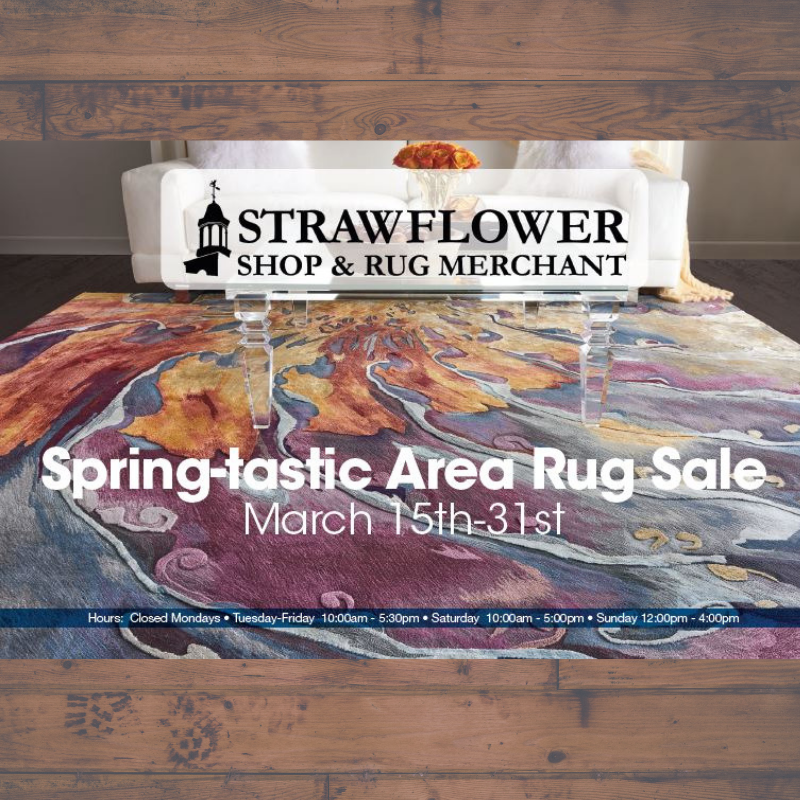 March 15-31st save up to 50% off on select rugs. All in-stock rugs are 20% Off and special orders are 10% Off. 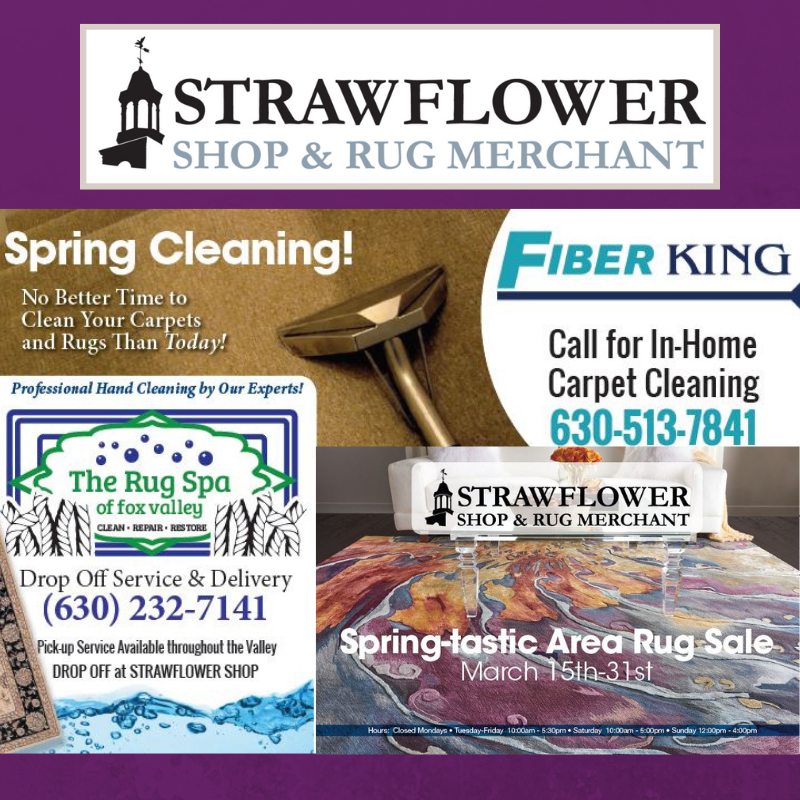 We offer Rug Cleaning now with our partner Fiber King. Gentle Jacuzzi like cleaning for the most delicate rugs and textiles. Our process thoroughly bathes the rugs in a bath of safe, gentle wool approved cleaning solutions. Professional hand cleaning by out experts. Pick-up & deliver is available at the Strawflower Shop. Call for more information 630-232-7141.